MPEG-SAND, specified in ISO/IEC 23009-5, defines standardized message formats for communication between server, client and network elements involved in the streaming process of MPEG-DASH. SAND-capable components are able to exchange real-time information of network and server components, as well as player behavior and performance data. 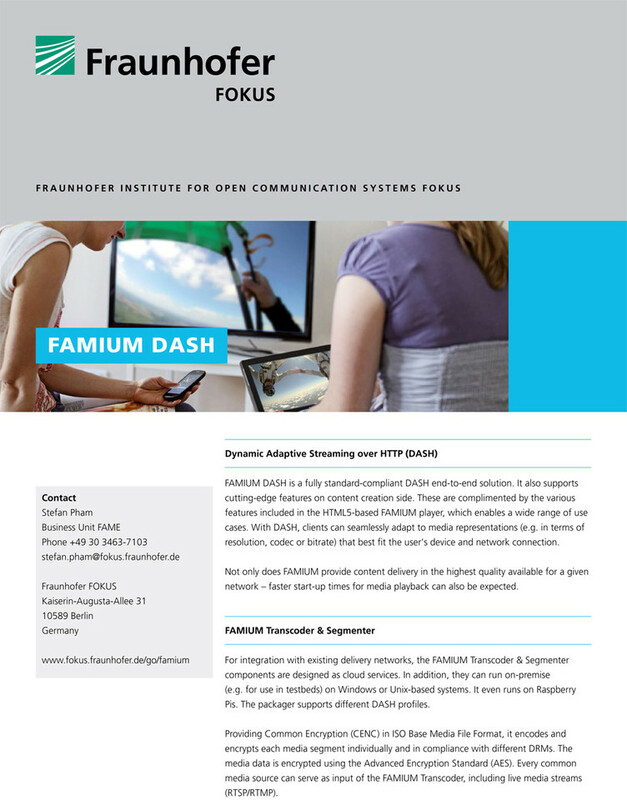 To stay updated on the latest developments of FAMIUM SAND and news of Fraunhofer FOKUS FAME, please subscribe to our newsletter. 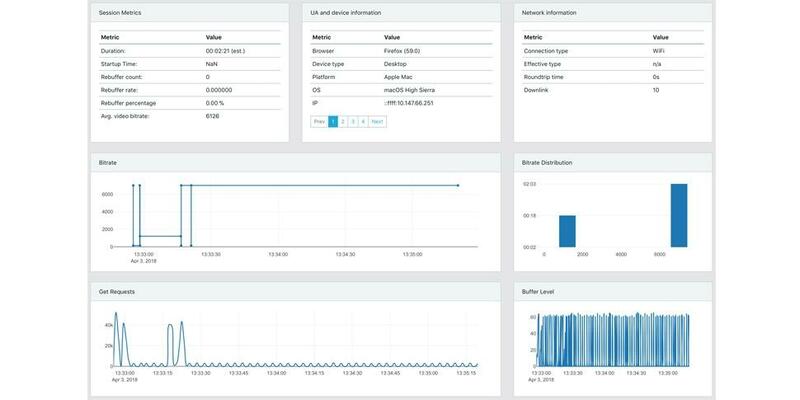 SAND metric reporting is an important tool for content providers as it enables players to provide streaming performance information like average throughput, buffer level, representation switch events and initial playout delay (QoE metrics defined in ISO/IEC 23009-1). SAND shared resource allocation allows network components to control how much bandwidth a client should use. This is useful in scenarios in which multiple DASH clients share the same network and compete for the available bandwidth (e.g. in a stadium, train or airplane). 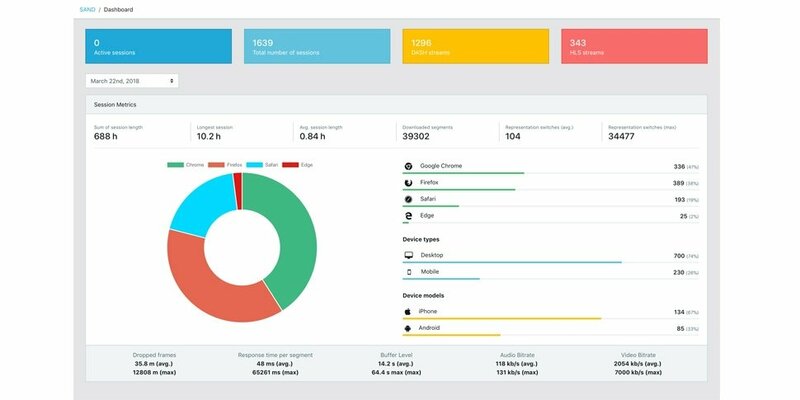 Real-time metric reporting to monitor player performance information like average throughput, buffer level, representation switch events. 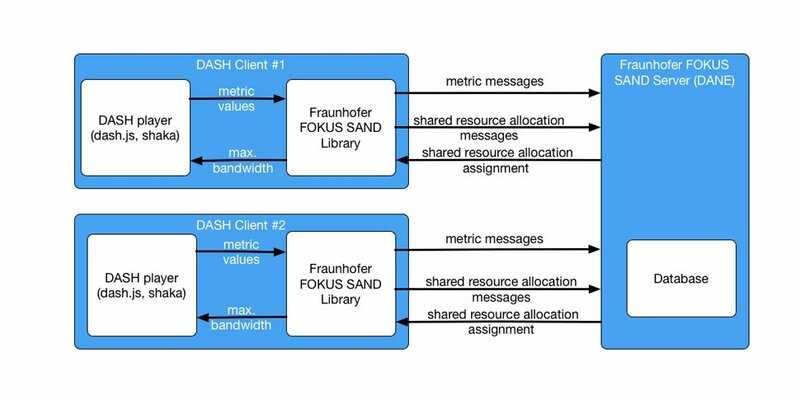 Shared resource allocation allows fair bandwidth sharing of multiple DASH clients competing for bandwidth in the same network. MPEG-SAND (Server and Network Assisted DASH) defines standardized message formats for communication between server, client and network elements involved in the streaming process of MPEG-DASH.